Does your local mechanic in South Melbourne do house calls? We do. We are Australia’s #1 fleet of completely mobile mechanics who are local to everywhere including in Coburg, Footscray and Maribyrnong. We service and repair your vehicle in whatever location that you specify. So you can have your car serviced wherever you happen to be like the office, your home address, or anywhere else that you are. Our mechanics have serviced over 1,072 vehicles for owners at their chosen specified time throughout the last year. Our mechanics have commonly worked on Log book servicing in your local area and will arrive fully equipped to carry out a range of mechanical service work and repairs like 6 year service and finding fuel blockages. Our fleet even includes specialist tyre mechanics available for on site tyre replacement. The key to a great mobile mechanic service is not only industry leading service work but also convenience. We take the fuss and hassle out of getting your car repaired or trying to keep up with its regular service history by providing vehicle owners the flexibility of choosing the time and place of their vehicle work. Around your local region Lubemobile mechanics have typically attended to Toyota, Holden and Ford. Prepared and experienced to take on all vehicle types, recent services around you have been typically Alfa Romeo, Peugeot and Chrysler. Parts needed are always of the highest quality and are sourced fast for efficient repairs carried out on time. Mechanics have access to parts and spares like coil pack, cam angle sensor and muffler on site. When we say all vehicle types, we really mean it. Mitsubishi and Mercedes owners have received full service and repairs to industry leading standards wherever the work needed to be done, when they needed us to be there. 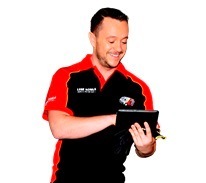 Happy clients in Melbourne Metro who have already experienced the ease and convenience of on site vehicle repair and service work have given us over 28 positive reviews. These are just some of the reasons why we have maintained our excellent service history and kept our customers. 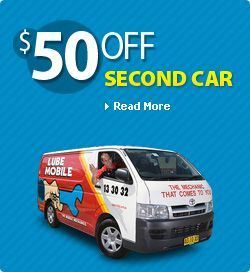 Receive a high quality service on your vehicle at the time and place that suits you with on of the 51 Lubemobile mechanics in Melbourne Metro.